The team at Saddleback markets this item as “your last briefcase” and the quality of this leather product backs up this claim. 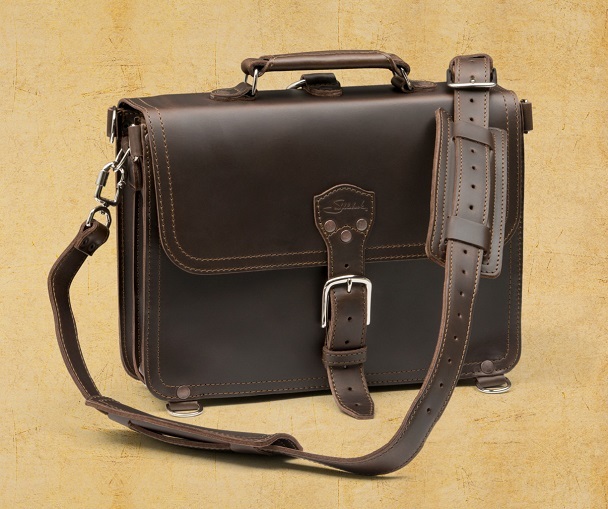 If you’re looking for a beautiful and durable leather briefcase you need to check this one out from Saddleback. It comes in four colors as you can see above, with Dark Coffee Brown, Tobacco, Chestnut and Carbon. A member of our staff has had one of these briefcases for years and is thrilled with the product. The company emphasizes the durability of the briefcase with a handle saddle-riveted to metal bar for strength and claiming that there are no breakable parts, including the zippers, snaps and buttons. His experience with the product backs up that claim as the bag just gets better with age as the leather gets broken in. He’s not planning on buying another briefcase in his lifetime. The unpretentious and simple design makes this bag appropriate for every setting, from corporate business meetings to coffee shops. It easily converts to a backpack and has a removable shoulder strap for carrying as a portfolio. The briefcase features three internal pockets, with two for pens and one for a laptop charger. You can select from two different sizes depending on your needs and whether you’ll be using it to carry a large laptop or smaller tablets. With the holidays around the corner this briefcase can be a great gift as well. Check out the Saddleback website and Facebook and Twitter accounts for more quality products and gift ideas. 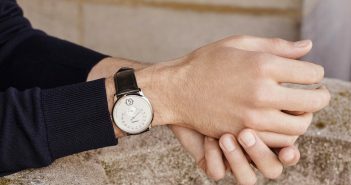 Along with bags you’ll find quality leather belts, wallets and luggage, along with the larger, classic briefcase that is the company’s best-selling item.